The World of Peachtree Publishers: Little Things Make a Big Difference! 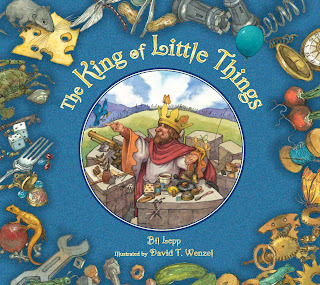 This week we're looking at The King of Little Things by Bil Lepp and illustrated by David T. Wenzel! If you haven't had a chance to see this beautiful picture book, you really do owe it to yourself to find a copy and pore over it. While you're here, let my blogger friends give you the proper introduction on our blog tour! Be sure to stop back here on Wednesday for your chance to win a copy!